Do you know that cold-pressed natural oils are much more beneficial for your health than any other oils? 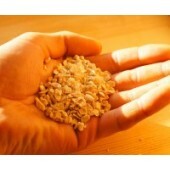 Because they retain healthy antioxidants that are otherwise damaged by being exposed to heat. They are also rich in vitamin E, which has anti-inflammatory healing effect and highly valued for the power of healing by alternative medicine schools. We are offering cold pressed oil, organic oil, wide range of natural oils, as well as organic essential oils, cedarwood essential oil, non-gmo, made on wooden presses (no contact with metal) Please place an order! Purchase one of Eco-Minded natural oils - Almond cold pressed oil See more info about cold pressed almond oil benefits in Wiki - scroll down to Oil section. And here you can read about 15 Health Benefits of Almonds..
100 % organic oil, cold pressed oil, extracted (on wooden presses) of Siberian cedar nuts (Pinus Sibirica). Packed in 2 special plastic food bottles, filled up to the bottleneck (525 ml) To learn about properties and application of ced..
100 % virgin cold-pressed (on wooden presses) cedar nut oil made from Siberian cedar nuts (Pinus Sibirica). 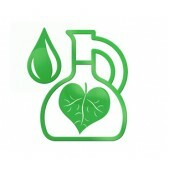 To learn about properties and application of cedar nut oil please read these articles: Cedar Oil in Natural Medicine. Cedar Oil in ..
100 % virgin cold-pressed (on wooden presses) cedar nut oil made from Siberian cedar nuts (Pinus Sibirica). Packed in a special plastic food bottle, filled up to the bottleneck (525 ml) To learn about properties and application of cedar nut..
Cedar nuts press cake is produced as a by-product of cedar nut cold pressed oil extraction. Cedar nuts press cake contains less oil but have the same taste as original cedar nuts, may be well used for cooking. Cedar nuts are praised thro..
Order one of the best natural oils for natural skin care in our natural oil store Organic Chia seed cold pressed oil is suitable for all skin types, especially for dry/flaky, sensitive, and mature, aging skin. This oil is used a lot for natural ..
Order one of the best natural oils for natural skin care in our natural oil store Organic Chia seed oil is suitable for all skin types, especially for dry/flaky, sensitive, and mature, aging skin. This oil improves elasticity, tone, and it encou..
Organic cold pressed hazelnut oil Order one of the best natural oils in our natural oil store. 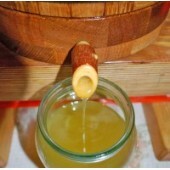 ..
Order one of the best natural oils (raw superfood) in our natural oil store. Cold pressed hemp oil contains 20 amino acids, with 8 essential ones, like Omega 3 and Omega 6 fatty acids. Also contains vitamins: B1, B2, B3, B6, C, D, E, ..
Order one of the best natural oils (raw superfood) in our natural oil store. Organic cold pressed hemp oil contains 20 amino acids, with 8 essential ones, like Omega 3 and Omega 6 fatty acids. Also contains vitamins: B1, B2, B3, B6, C, D, ..
Order one of the best natural oils (raw superfood) in our natural oil store. Cold pressed linseed oil nutrition facts from Wiki..
Order one of the best natural oils (raw superfood) in our natural oil store. The oil contains 50mg% of carotinoids. Since ancient times Slavic peoples knew about the healing power of sea buckthorn oil. The sea buckthorn fruit contains organic a..
Order one of the best natural oils (raw superfood) in our natural oil store. Sesame seeds are very tasty themselves. Apparently, many centuries ago this fact contributed to the large-scale cultivation of this plant and later - to production of s.. Cold pressed walnut oil benefits from Wiki Order one of the best natural oils (raw superfood) in our natural oil store. 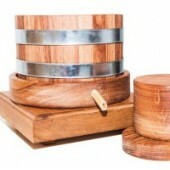 ..
Walnut press cake is produced as a by-product of cold pressed walnut oil extraction. Order one of the best raw living foods in our natural oil store! Great for cooking!..